Capstone Mechanical President and Midway ISD Board Member Rick Tullis along with Waco Chamber of Commerce Sports and Special Events Director Ashley Futris and Chris Davis, Sports & Special Events Coordinator join ESPN Central Texas‘ The John Morris Show to talk about TriWaco and more. 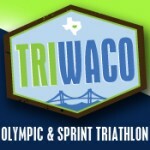 The sixth annual TriWaco is an Olympic and sprint distance event in the Heart of Texas sanctioned by USA Triathlon. The event begins with a 1500-meter open water swim in the Brazos River followed by a mostly flat and fast 25-mile bike ride on country roads north and west of Waco. The race finishes out with a hilly 10-kilometer run along the Brazos River that leads to the oldest suspension bridge in the United States. The Sprint distance event includes a 400-meter swim in the Brazos River, a 12-mile bike ride along the same country roads and a 5-kilometer run finishing on the suspension bridge. TriWaco talks 2014 event on ESPN Central Texas.